Choosing when to sell an investment property is an important decision to maximise your return on investment. Sell at the right time and you get great price for your property. Sell at the wrong time and that may stay in the market for a long time or you might not get top dollar. 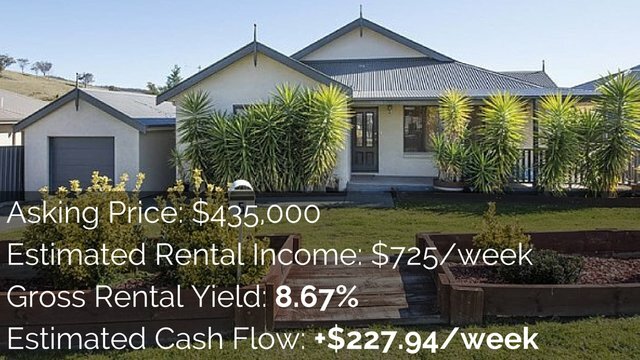 Firstly I want to look at some of the questions you can ask yourself so you can work out when’s the best time for you to sell in your own financial circumstances and then I am going to look at when is the best time to sell throughout the year. There are many different ways to analyse whether or not it is time to sell. 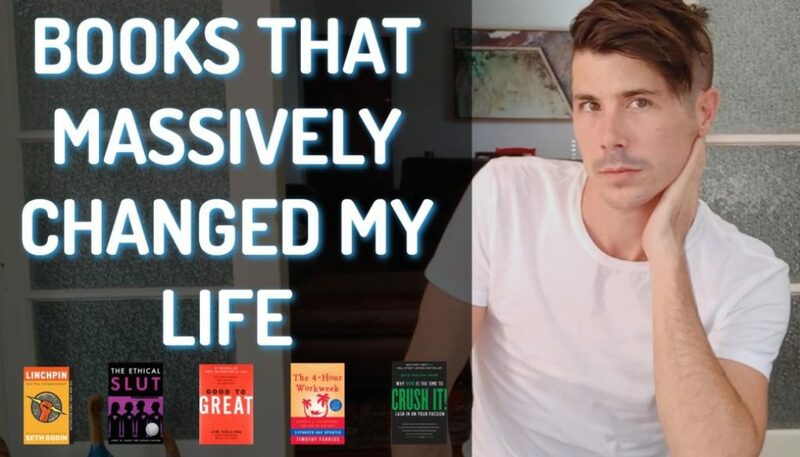 I’m just going to give some of those to you so that you can think about them and work out for yourself whether or not it is time to sell your specific investment property. One of the ways people decide when it’s time to sell their investment property is when they have reached theur financial goals. Now most investors don’t necessarily go into an investment with the foresight to say well here is exactly what I want to achieve financially and when I have achieved that then I’ll exit the property. But some investors do do that and they say look I’m investing $20,000 into this deal. I want to make $100,000 out of it so when my property is worth that then I will sell it and go and invest in something else. 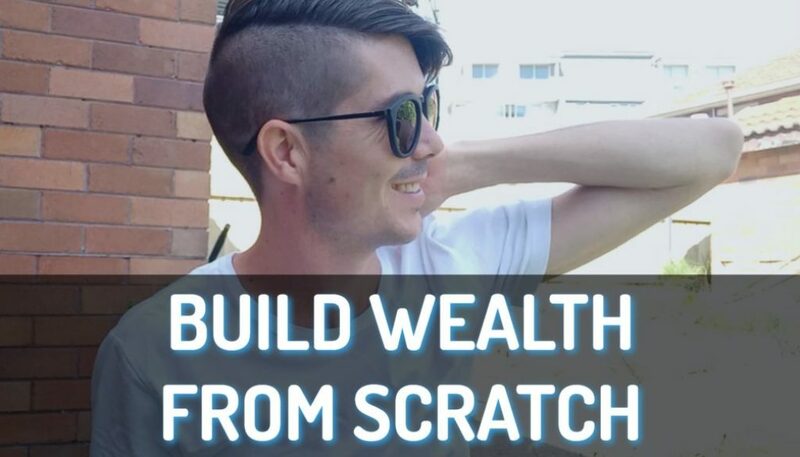 In order to do this first you need to have those financial goals and then you need to be constantly assessing your property where the value is the market and how much money you’re going to make from it. It could be that if you reached your financial goals maybe it’s best to let the property go. Sell it and take the winnings that you’ve got or you could hold on to it and you keep it going. Will You Sell Your Investment Property When The Market Has Peaked? A lot of people try and sell their property when the market has peaked. Now it is very difficult to tell when the market has peaked. In Sydney at the moment I know that there is a massive boom going on. I can’t say whether or not the market has peaked and when it’s going down. I think we tend to know what the peak is after the peak has happened and now property prices have plummeted. It is difficult to exactly tell when the peak is and that is why I like to come back to what were your financial goals. If you sold at the current market value would you be happy with that rather than betting for a higher peak. Can You Get A Better Return On Investment Elsewhere? Another way to assess whether or not it is time to sell your investment property (and I actually got this idea from Steve McKnight which I really like) is when you could get a better return on investment somewhere else. A lot of investors look at their return on investment over the years still based on the amount of money that they put into a deal. 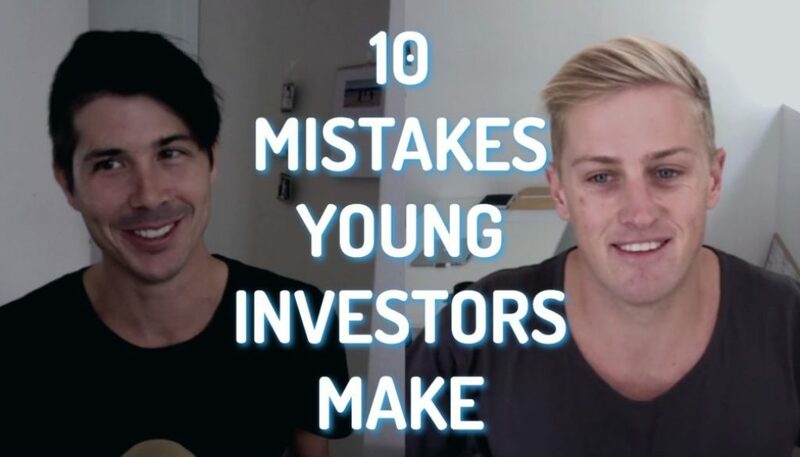 Obviously as ten years go past and rents go up and inflation occurs the return on investment that you are getting from that initial investment in ten years time is usually quiet big. But I would look at the money and the equity that I had not property and if I could invest that money and that equity somewhere else and get a better return on investment well then I would sell the property. I think that is a great way to look at it. Do You Want To Pay Down Debt? Another common time for people to sell their investment properties is when they are paying down debt. A lot of investors will invest in negatively geared properties or high growth properties and over time those properties will increase in value and when it comes time to retire they will sell off some of those properties in order to pay down debt on their remaining properties. 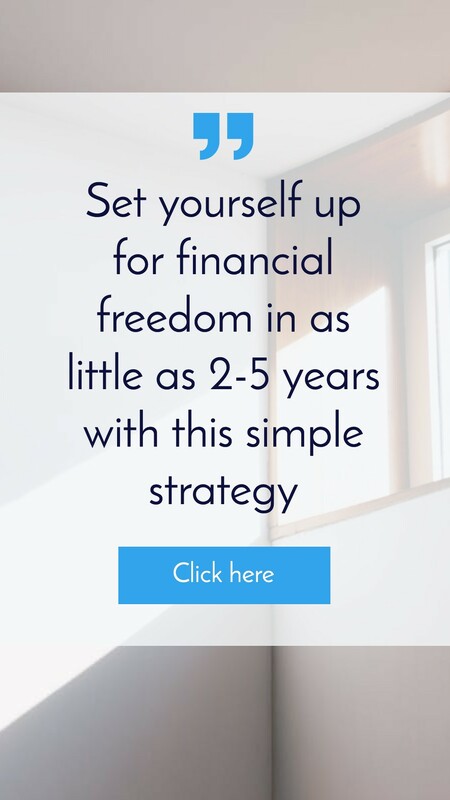 This leaves them with a few properties that are completely mortgage free and then they can get to collect the rental income from that and achieve financial freedom. Is Spring A Good Time To Sell? A lot of people think spring is the best time to sell your property and it is true that the property market as a whole tends to be more active in spring. However, because of this perceived notion that spring is the best time to sell your property there’s also an influx of properties on the market. There’s more activity happening but with that influx of properties that can actually swing the market in the buyers favour because they have so much more to choose from. Why Is Autumn Generally A Good Time To Sell? 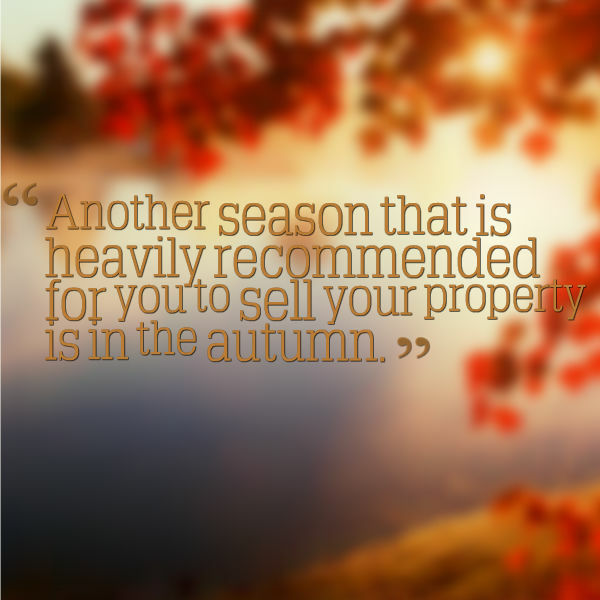 Another season that is heavily recommended for you to sell your property is in the autumn. So this is March, April, May. People say give varying reasons for this and obviously because of colour of the leaves and the way that the sun drops and light comes into the house. But you have also got the added benefit of the fact that people have just been on holidays that had time to think about you know what they want to achieve in the year now they are back at work maybe and even not completely happy and are looking for a large purchase. Autumn time can be another time of high activity. But autumn doesn’t have the preconceived notion that spring has and so it is the best time to sell your property. Months like December and January when most people are on holidays isn’t really considered best time to sell your property. It used to be great for holiday towns because people would go into town for a holiday and would potentially consider to purchase a property but now with the Internet everyone searches online and do their research online and throughout the year and so it is not so location dependent anymore. But realistically the best month to sell your property depends a lot more on the local market than it does on the month of the year or the seasons and this is based on supply and demand and how well the market is doing. If there is a lot of demands and there is not so much properties on the market that would mean it’s a great time to sell whether that be June or July or even December. But if there’s a lot of properties on the market and not that much demand well then it’s going to be a buyer’s market and harder to sell your property and that could happen in spring. And that could happen in autumn. So really the best advice I can give you is to speak to your local real estate agent and find out from them what the market is like. And keep your pulse on the market as well by constantly doing research by seeing what’s available and by talking to people that are in the industry. 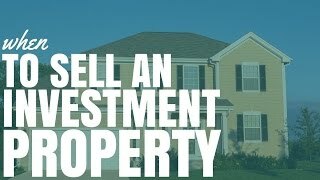 So I hope that this has helped you and answer your question when to sell your investment property. Obviously it varies depending on your situation person and then it also depends on your local market as to when is the best time to sell it. But this gives you some ideas and some things to think about. 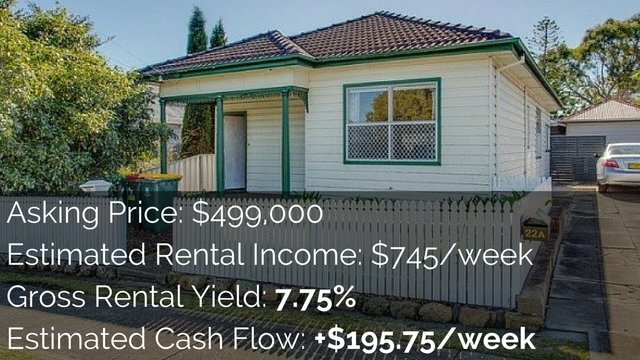 If you’ve got a positive cash flow property that you want to sell then shoot me an email at ryan@onproperty.com.au and I will list it inside On Property Plus, which is my growing members area where I list positive cash flow properties and teach people how to climb positive cash flow properties. So if you got a property that you are selling and you want a bunch of property investors who are interested in positively geared property to see it well then shoot me an email and I can put it in the membership site.